The League of Women Voters’ Jennifer Wilson says while a constitutional convention could have provided a great opportunity to repair flaws in state government, there are other ways, including the normal legislative process. She says both houses were opposed to the convention, saying there are better ways to improve government. She says now lawmakers have the chance to prove that they were right and can achieve changes. Both legislative leaders opposed the convention, saying they feared it would be taken over by special interests from outside New York. They also say they prefer an alternative way to changing the constitution. It requires that a measure be approved by two consecutively elected state legislatures, then put before voters. Wilson says there’s one simple change that could greatly improve voting access and that could be achieved using that method. She says lawmakers could vote to repeal the portion of the state’s constitution that limits absentee ballots to voters who will be away on Election Day, or who are too sick or disabled to appear at the polls. 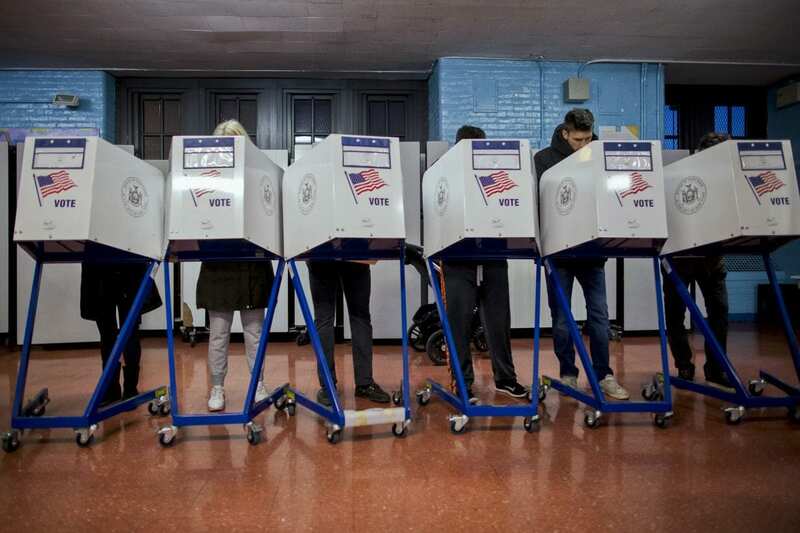 She says if voters don’t have to list a and excuse to receive an absentee ballot, then that method of voting could be open to everyone, including those too busy to get to an actual polling palace on the first Tuesday in November. She says the ballots could also be available electronically, eliminating the need for printers, postage or a mail box. “Early voting would be such an easy fix,” Wilson said. Wilson says other items the governor and legislature could address- include closing a loophole in the state’s campaign finance laws that allows donors to skirt contribution limits by creating Limited Liability Companies, or LLC’s. There is no cap on the amount of money LLC’s can raise and give to candidates. Opponents of the constitutional convention, led by the state’s major labor unions, say the event would have been too dangerous. The AFL-CIO’s Mario Cilento, says a runaway convention could have resulted in a loss of several key rights, like the right to collectively bargain, and the eight hour workday. “We had to be really laser focused on what could happen regarding the needs and concerns of working men and women,” Cilento said. Cilento says opponents of the convention don’t think that New York State governor is functioning perfectly, however. Both labor unions and reform groups agree that it’s good news that Proposition Two, which will allow judges to revoke pensions from convicted public officials, was approved. Wilson, with the League of Women Voters, says that measure alone is far from enough to reverse a wave of corruption that’s led to charges against the two former legislative leaders and nine of Governor Cuomo’s former associates.